Millstone is a distributed bioinformatics software platform designed to facilitate genome engineering for synthetic biology. Automate iterative design, analysis, and debugging for projects involving hundreds of microbial genomes. Synthetic biology is the design and construction of biological devices and systems for useful purposes. These designer organisms can be harnessed to produce biofuels, drugs, nanomaterials, and other value-added chemicals, or act as living nano-scale platforms for diagnostics and drug delivery applications. Why couldn't we do this before? In the past, biological engineers have been limited to copying and pasting only existing genes, or altering only small stretches of DNA at a time. Genome sequencing was slow and costly, and reading even one microbial genome sequence was cost-prohibitive. Today, DNA synthesis and sequencing are both undergoing a rapid increase in speed and scale, while simultaneously decreasing in cost. 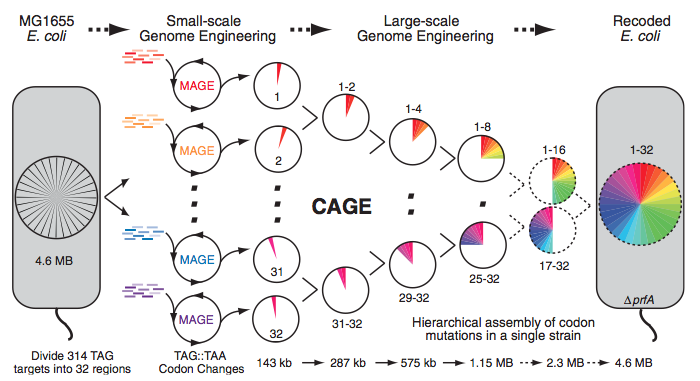 In addition, new technologies like Oligonucleotide Library Synthesis (OLS), Multiplex Automated Genome Engineering (MAGE), and Conjugative Automated Genome Engineering (CAGE), are making it easier to generate radically altered or even purely synthetic microbial genomes. How does Millstone fit in? Now that we can read and write DNA at an unprecendented scale, there is a pressing need for analytical tools to make sense of this information. 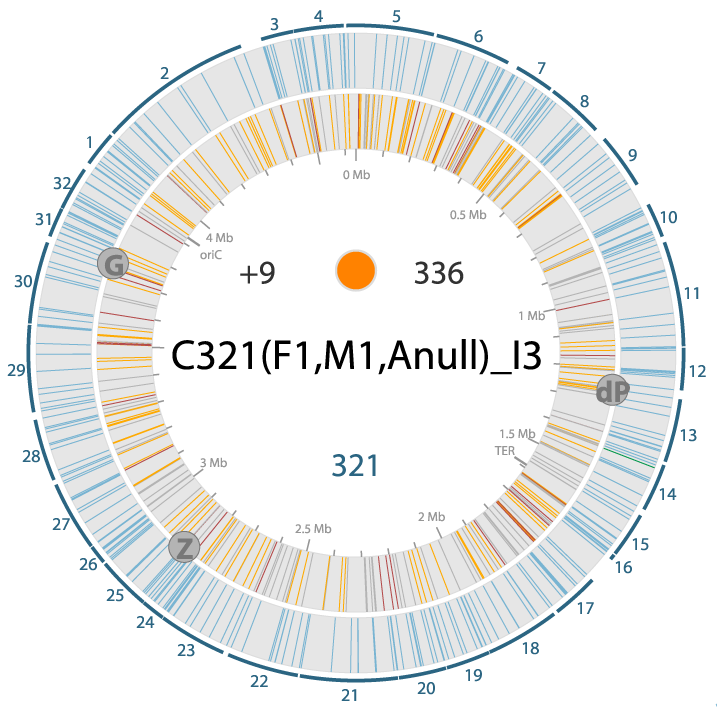 Millstone is the first software platform that can fully automate the intensive computational process of analyzing engineered genomes. Millstone accepts raw genome sequencing data for hundreds of related microbial strains and returns the genomic changes present in each strain, annotating those that might affect the organism's function. Millstone can then help design additional changes or revert existing undesired ones, iteratively engineering these genomes for useful purposes. Millstone is generously supported by an Amazon AWS in Education Grant. Designed and built by Daniel Goodman, Gleb Kuznetsov, Brian Ahern, Kevin Chen, Changping Chen, and Marc Lajoie, and George Church.